Developers, makers and enthusiasts building robotic projects may be interested in a new enhanced LiDAR robotic navigation stem which is now available from just $79. LiDAR or Laser Imaging Detection and Ranging system is a surveying method that measures the distance to a target by illuminating the target with pulsed laser light and measuring the reflected pulses with a sensor. 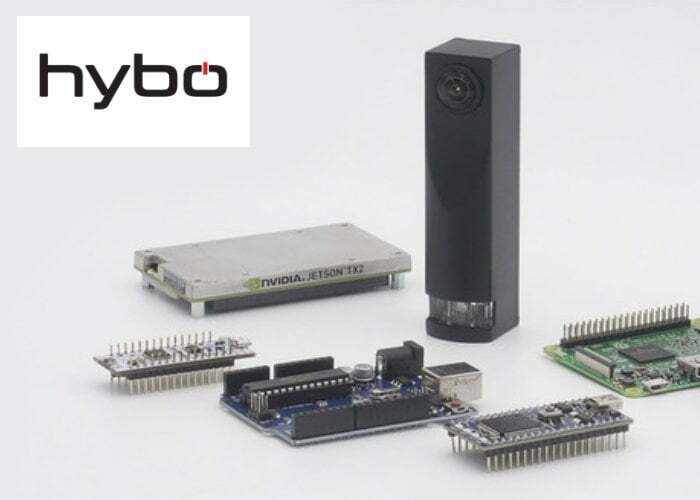 The engineers and development team at Hybo have created a new pocket-sized device for autonomous robots offering state-of-the-art LiDAR scanning. Watch the demonstration video below to learn more about its features and functionality which sets it apart from other LiDAR devices currently on the market. iLidar is the first solid-state LiDAR sensor specifically created for makers whether they are beginning their journey within robotics or seasoned robotic developers. 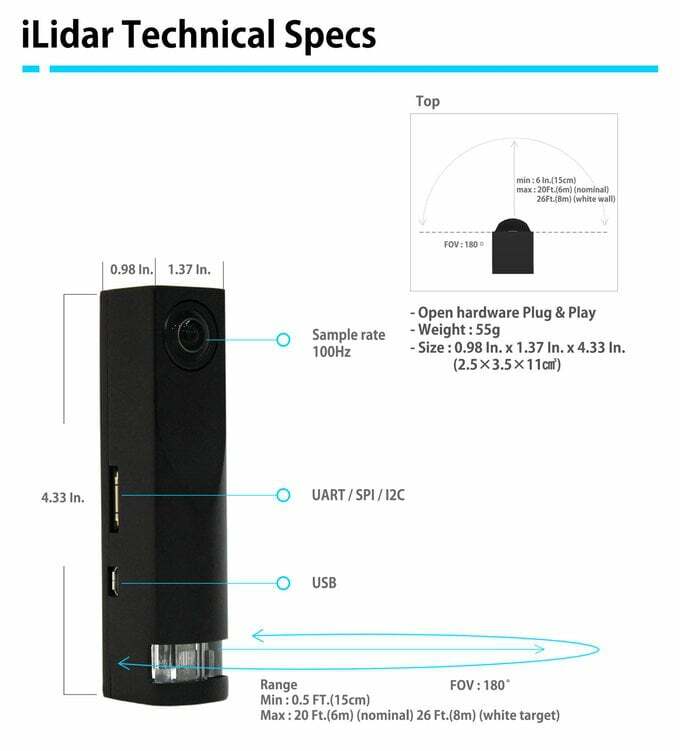 Designed to overcome the limitations of traditional sensors iLidar offers cutting-edge LiDAR performance at an unbeatable price, all in one compact sensor module. LiDAR technology is used in a variety of home appliances such as robotic vacuum cleaners, companion robots and unmanned aerial vehicles or drones. With two main methods affordably available in the form of 1D and 2D LiDAR. Unfortunately, 1D LiDAR sensors are only capable of measuring the distance to one point providing limited functionality. While 2D LiDAR is capable of scanning spaces in 2D most LiDAR sensors, require rotation to sense distance on a line across an area. iLidar offers improvements and enhancements over both without the need for any rotation, providing an affordable next-generation LiDAR system created explicitly for the maker, enthusiast and developer. 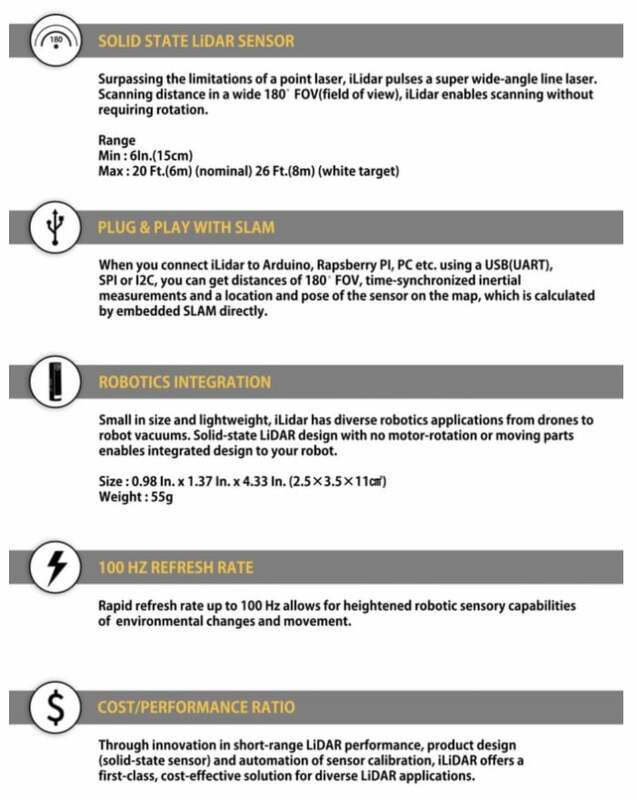 Offering incredible cost/performance ratio, the iLidar device offers super speed sampling, SLAM embedded technology and a super-wide line-laser depth sensor, making it even easier for your robot to navigate its desired path autonomously. If you are interested in adding LiDAR to your robotic project or application, you will be pleased to know that iLidar has this week launched via Kickstarter and is now available with early bird pledges from just $79 with worldwide shipping expected to take place during August 2019. Designed specifically for the maker or developer, a number of early bird pledges are available with a special limited time price available for one day only. Multiple packs are also available offering either 5 or 10 iLidar devices for larger projects, applications or educational establishments.